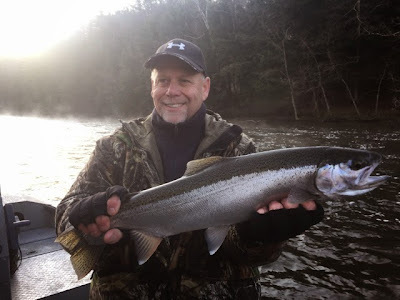 Fishing was very good today, Rick and Fred had non stop action. 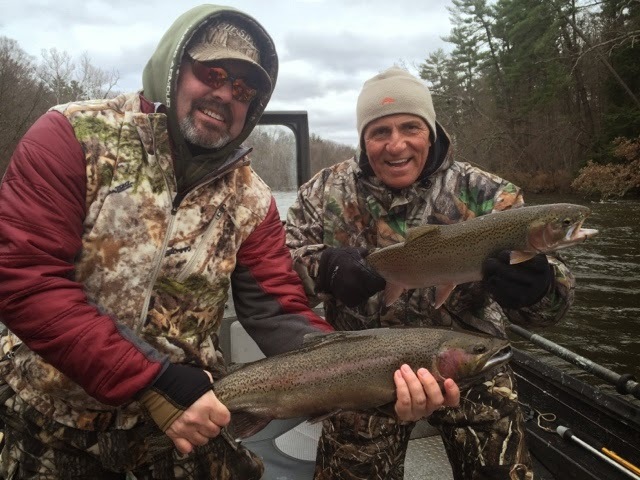 Mark and Chad with a few fish from today. It felt more like winter than spring out there today. 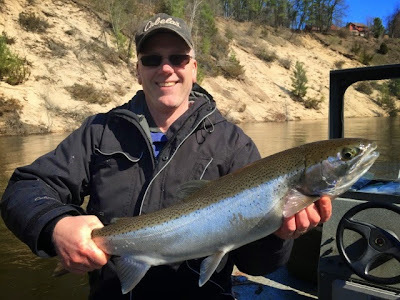 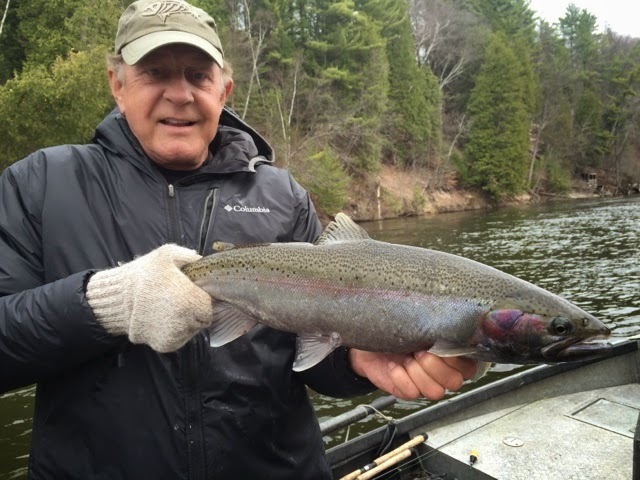 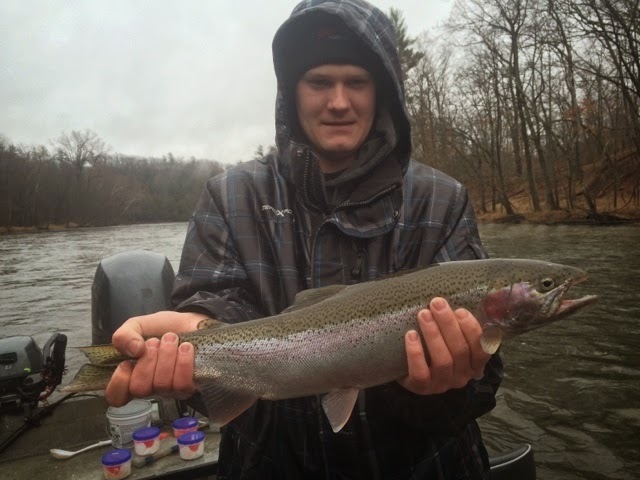 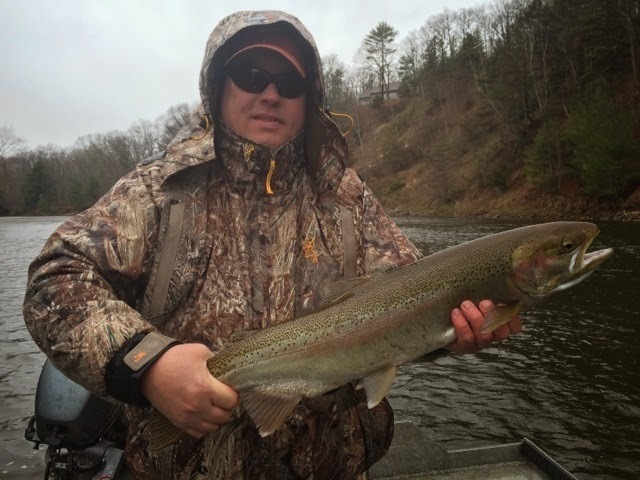 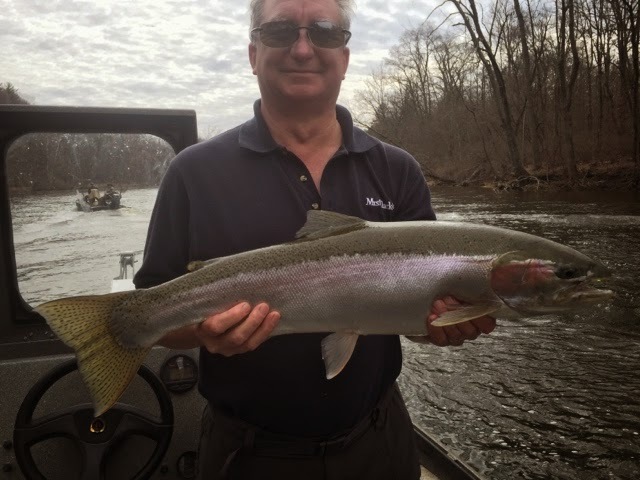 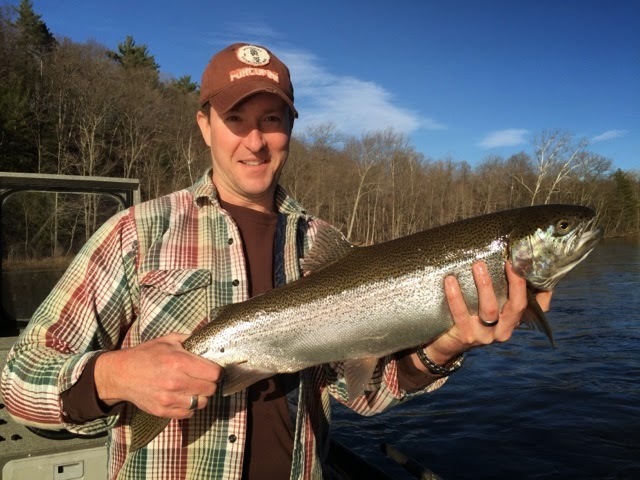 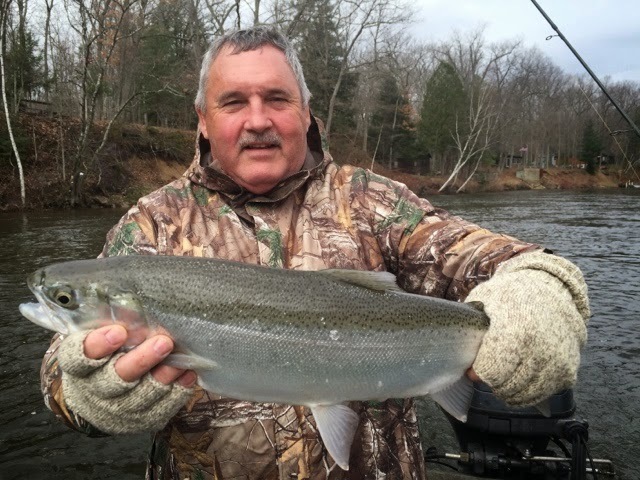 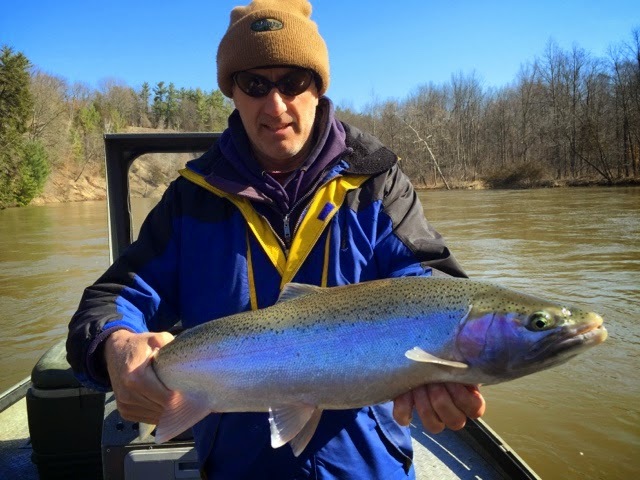 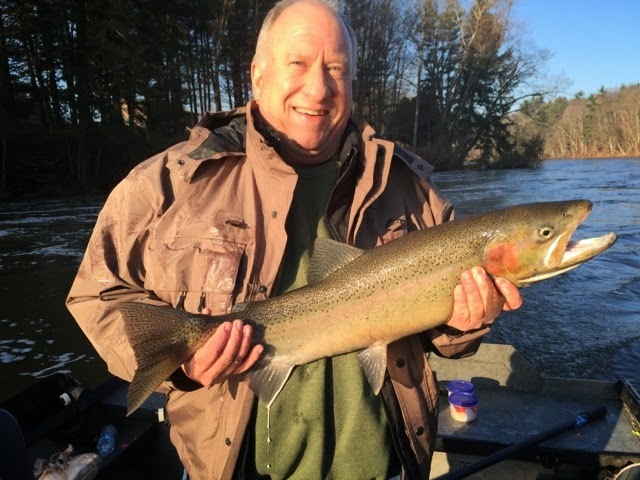 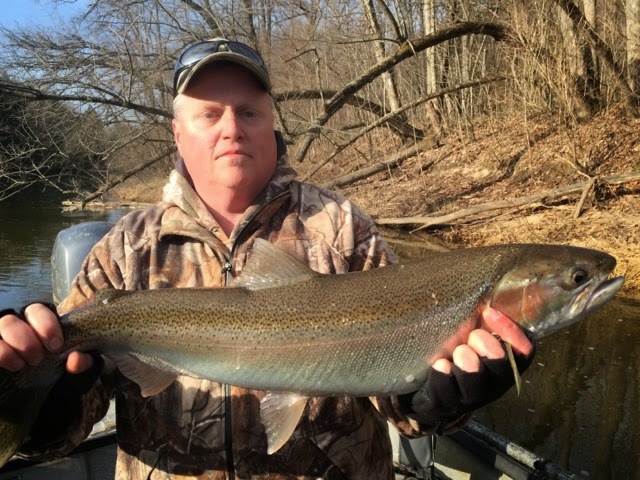 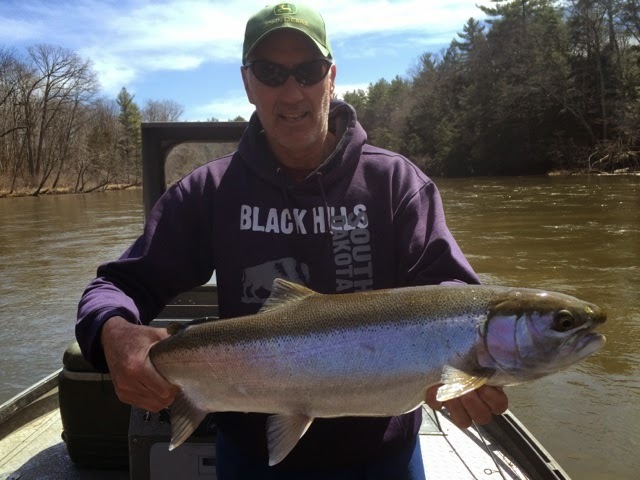 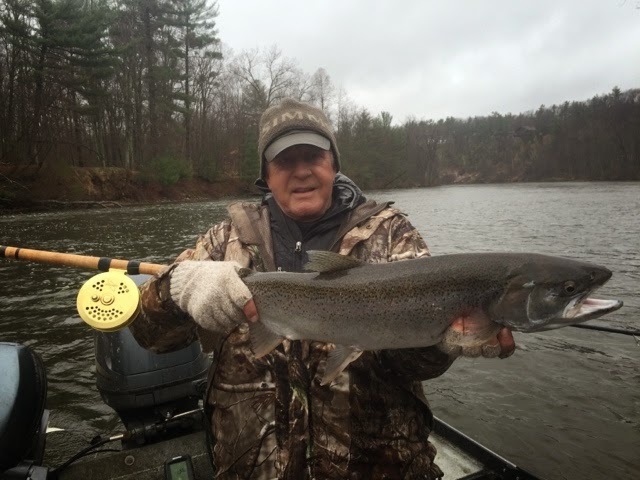 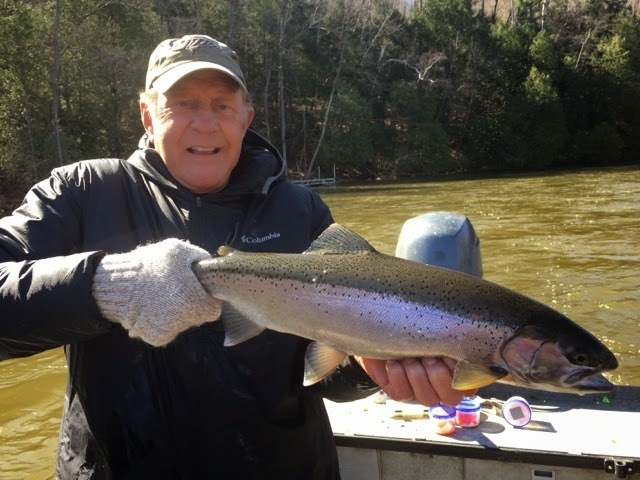 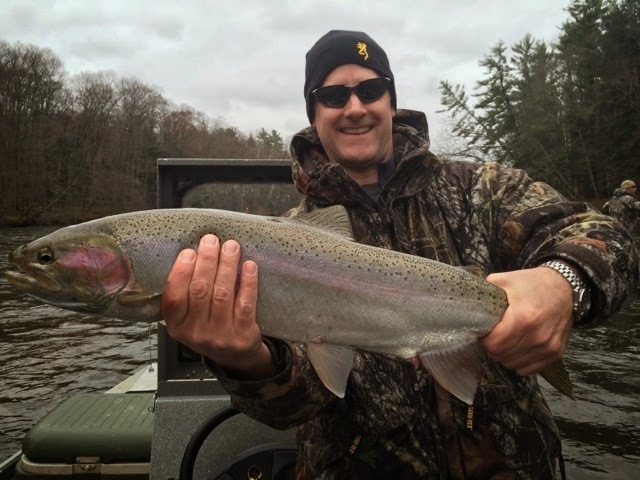 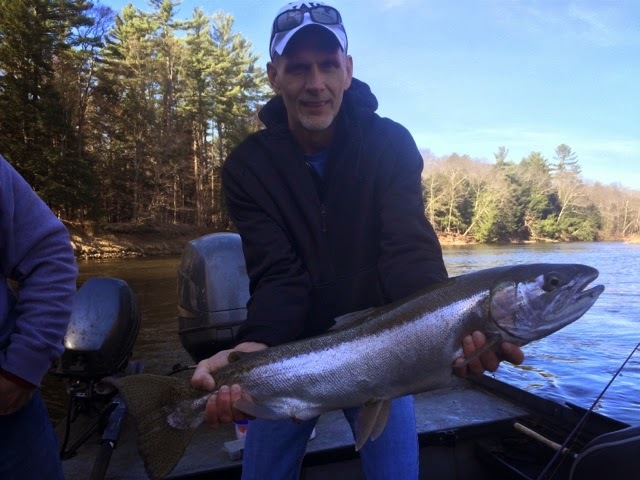 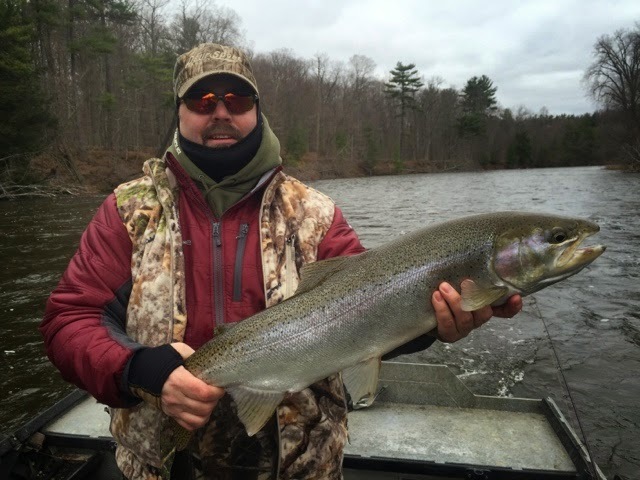 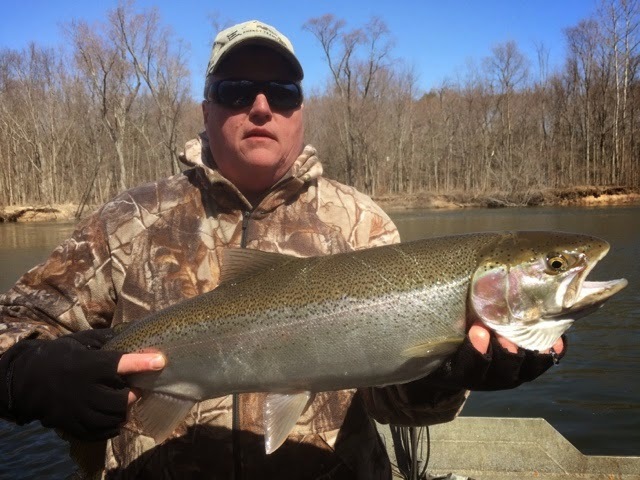 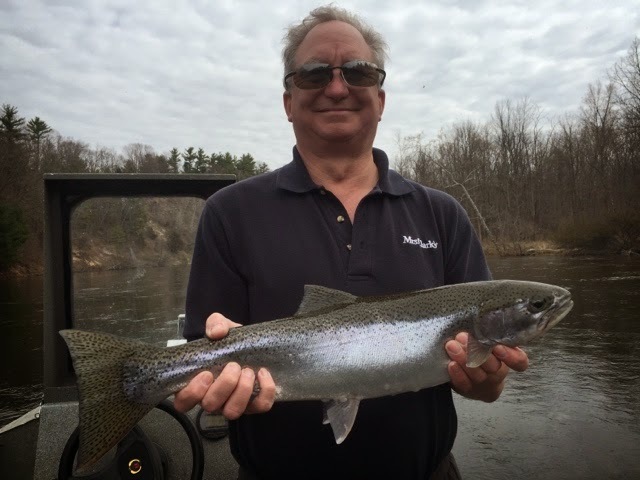 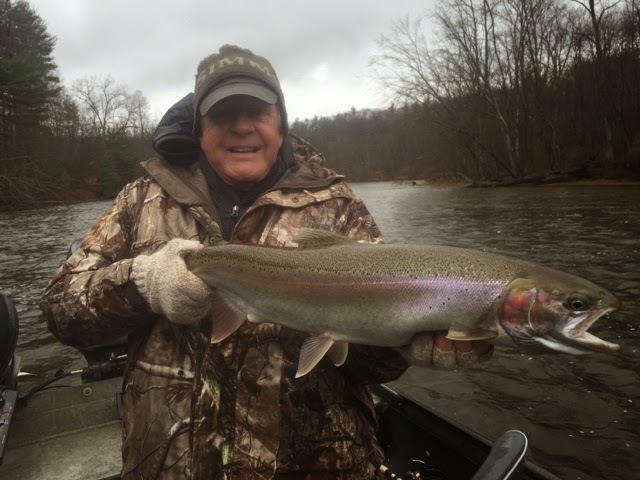 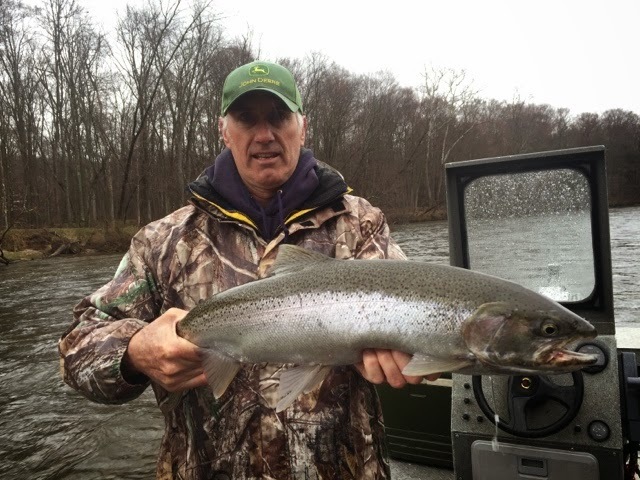 Steelhead fishing is good, water level is around 3,000 cfs. 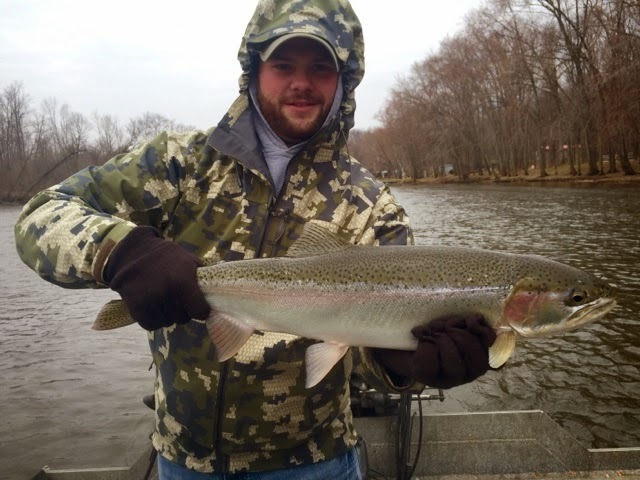 With just a little color. 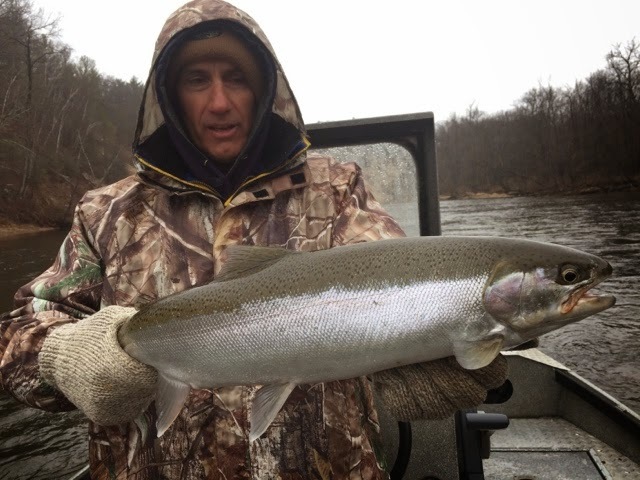 Fish can be found in all types of water and eggs are on the menu. 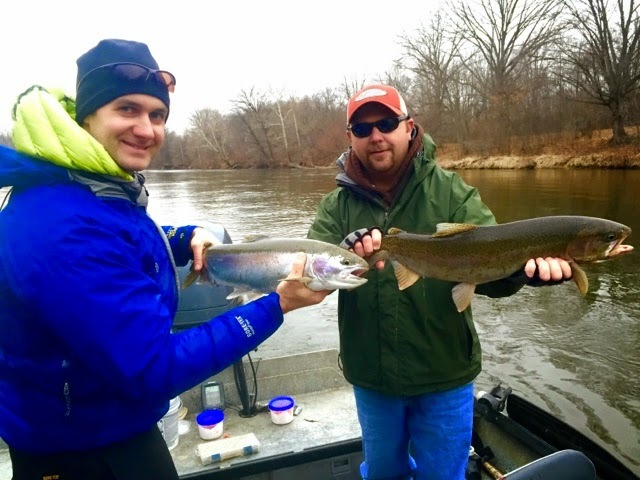 Ed and Fritz are pictured with a couple of their fish from today. 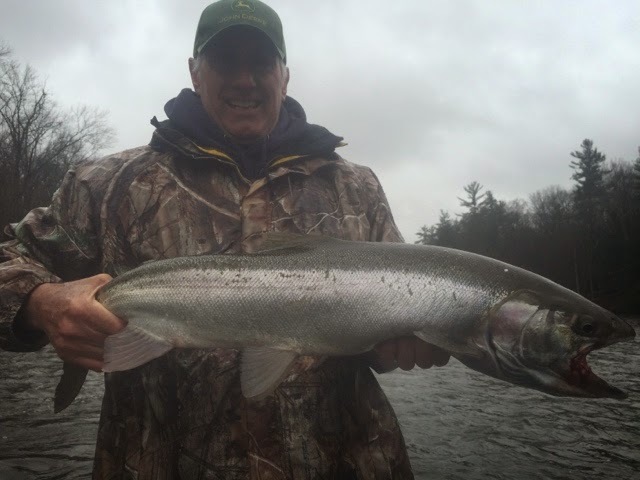 Steelhead fishing has been good lately. 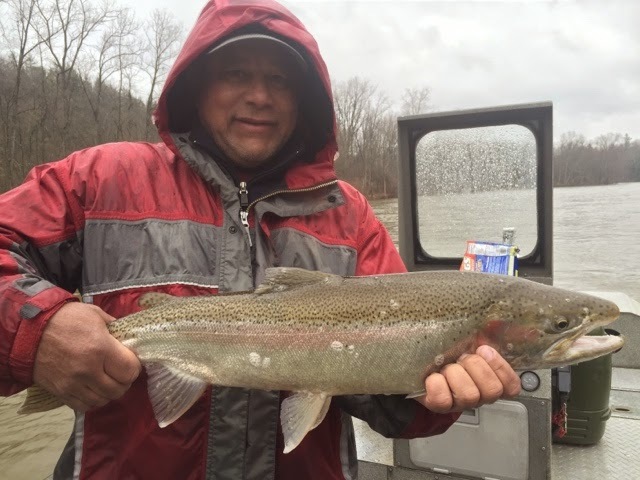 Water level has dropped to around 3,000 cfs. 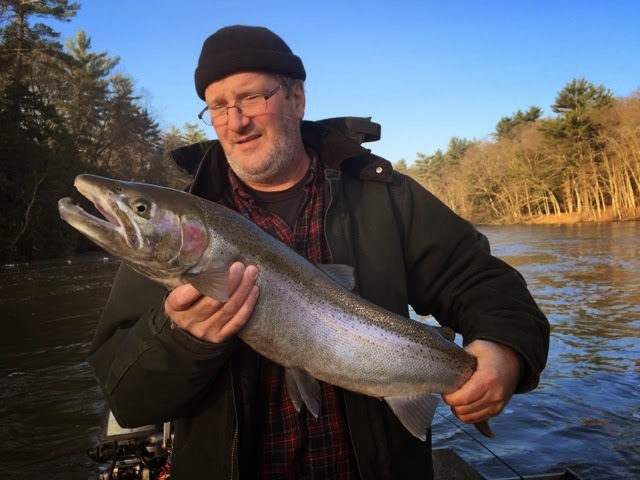 And is pretty clear. 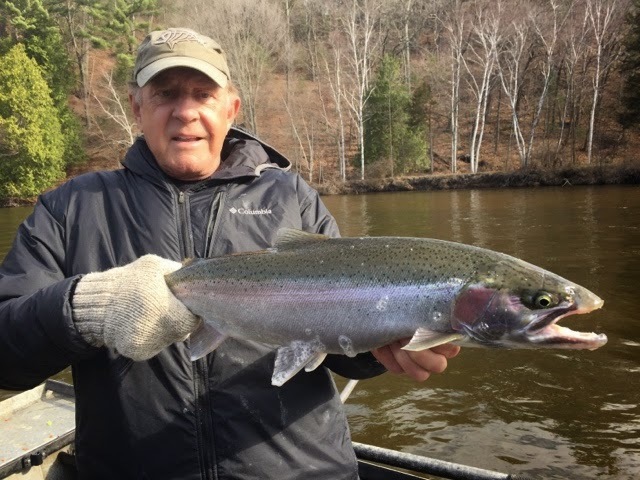 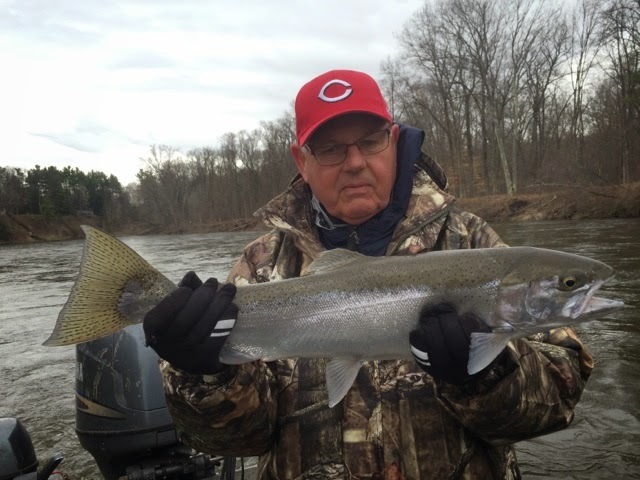 We have been catching good numbers of fish float fishing and back bouncing and we are catching a good number of chrome fish. 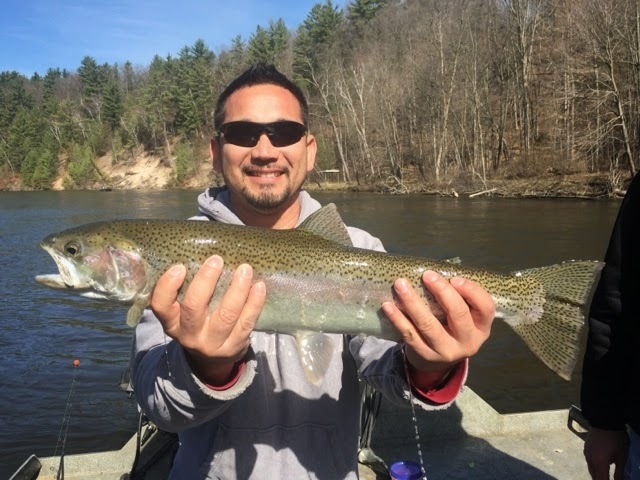 Here are some of the fish we've caught the last few days. 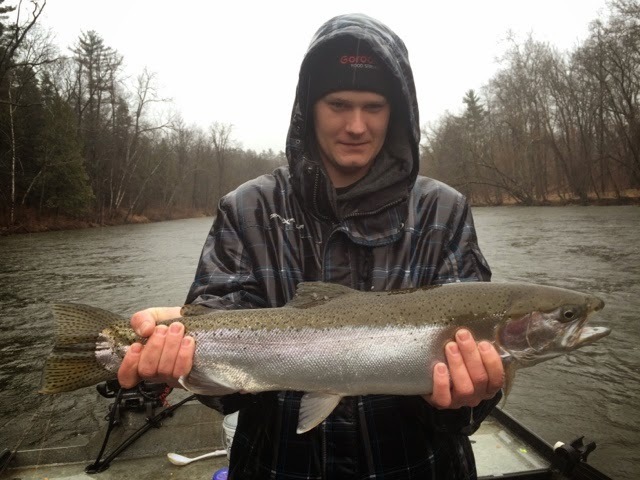 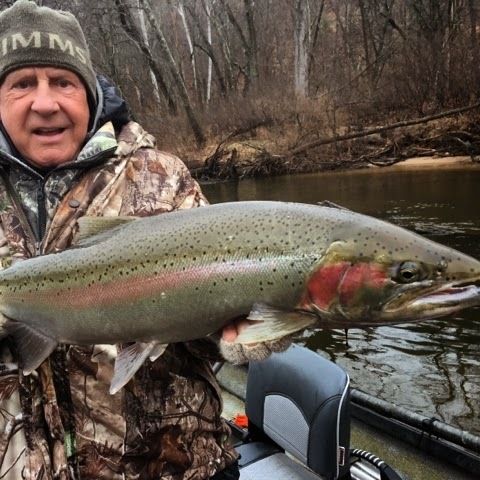 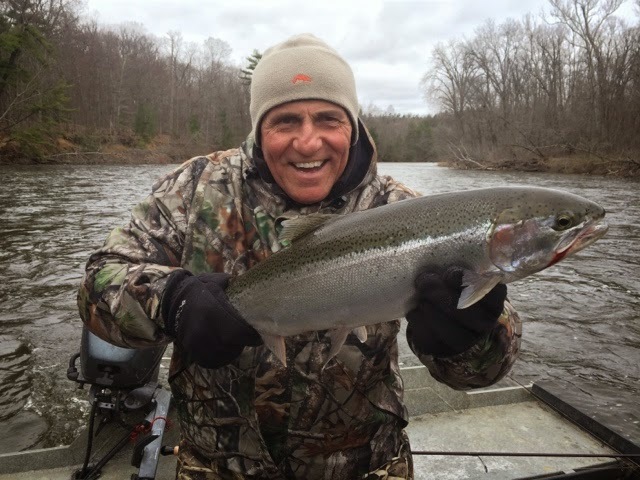 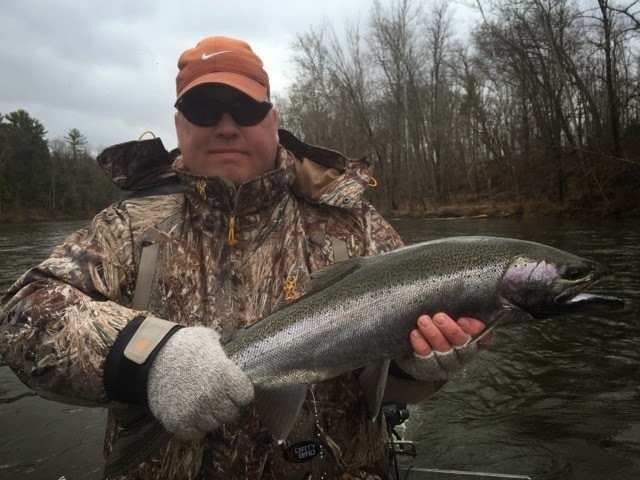 Steelhead fishing is good right now. 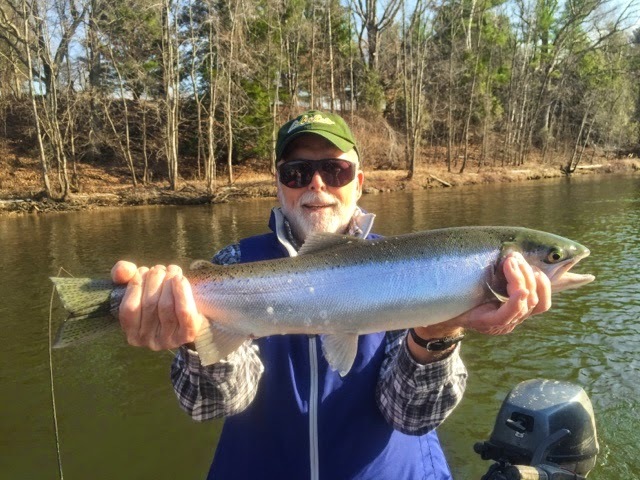 There is a good number of chrome fish around right now and the water is in great shape. 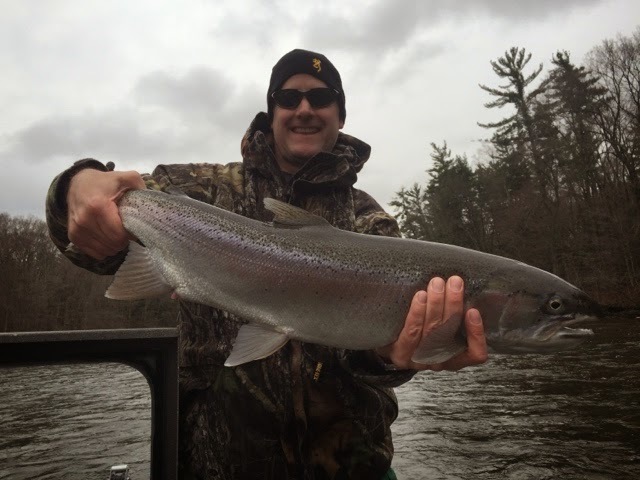 Here are a few fish we've boated recently. 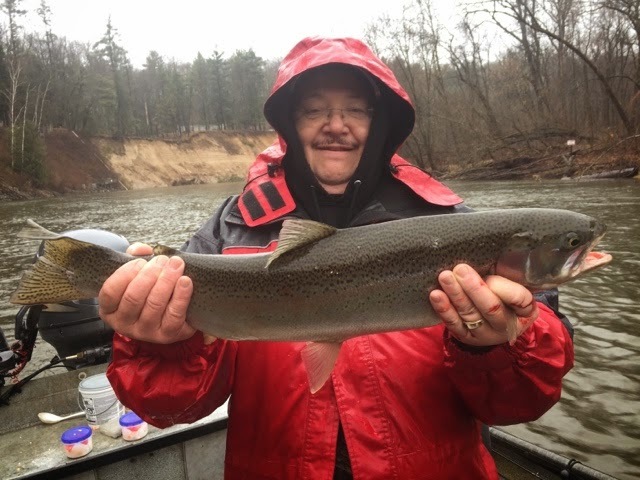 The rain that has moved thru the area over the last couple days has the river on the rise and will no doubt bring a good push of fish along with it. 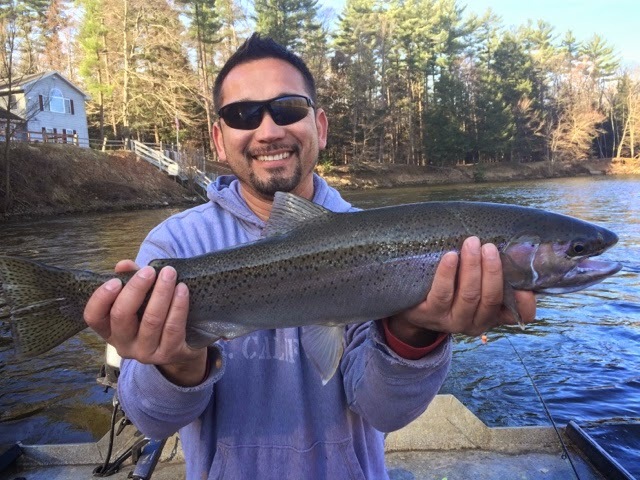 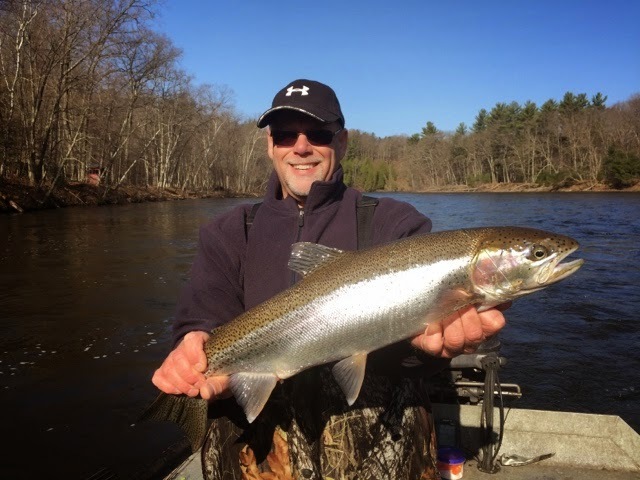 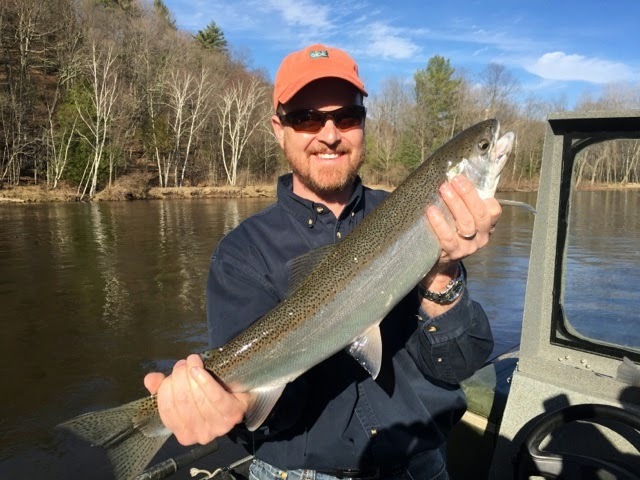 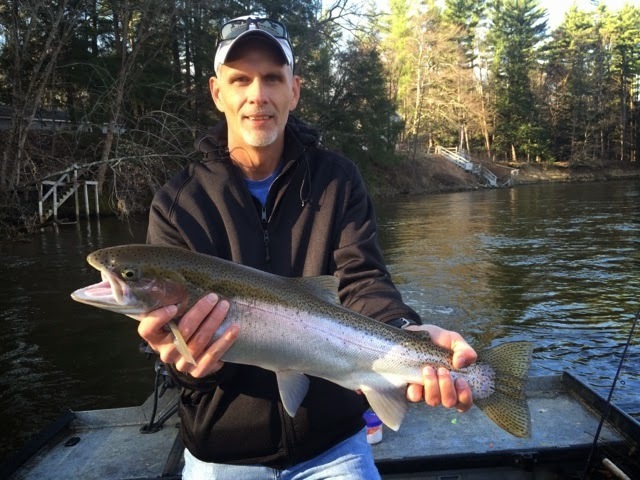 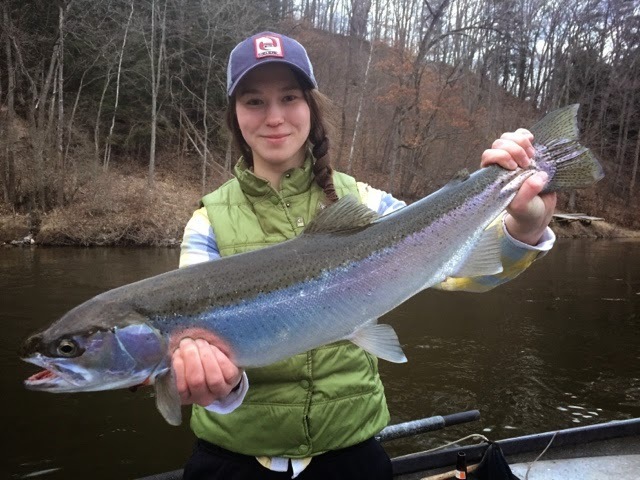 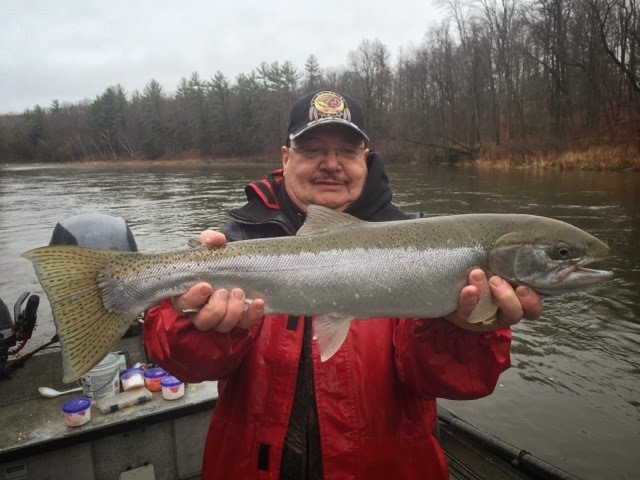 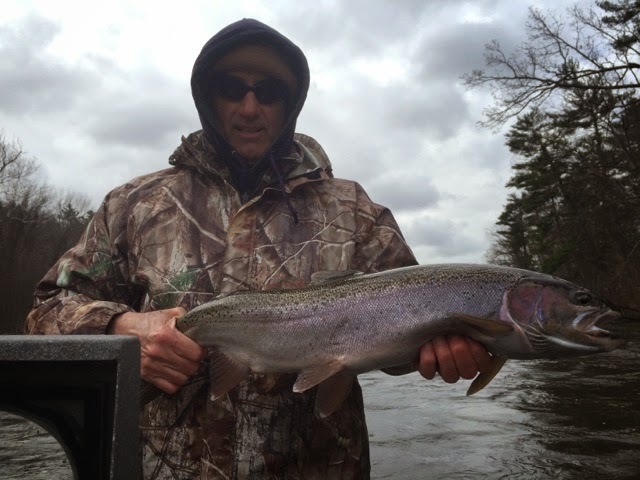 We have been catching a decent number of chrome fish along with some colored up fish and a handful of post-spawners. 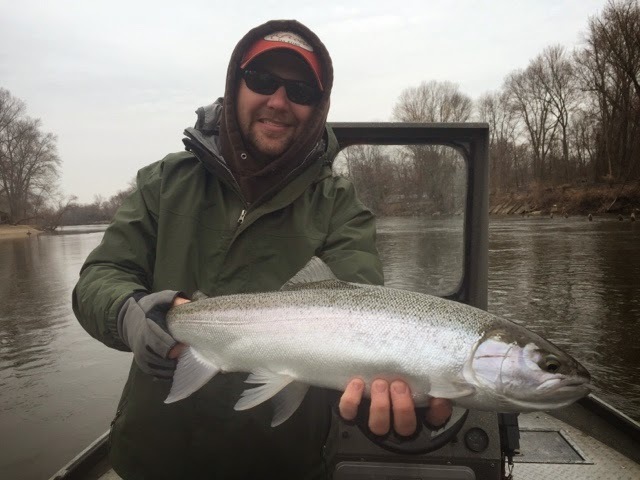 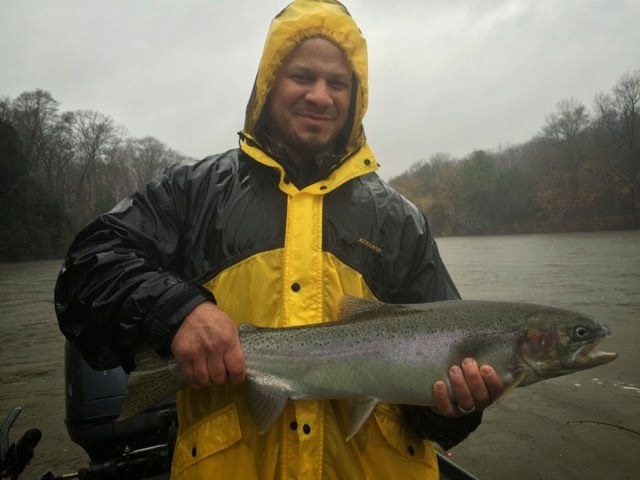 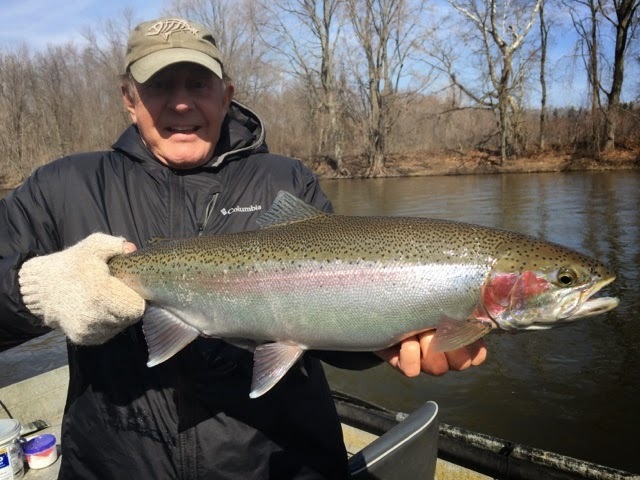 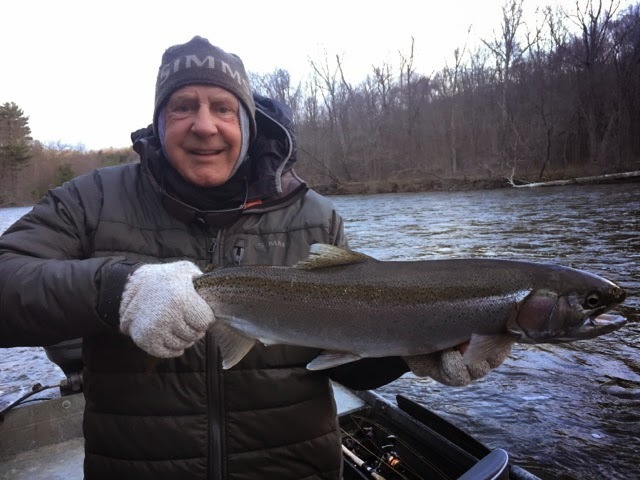 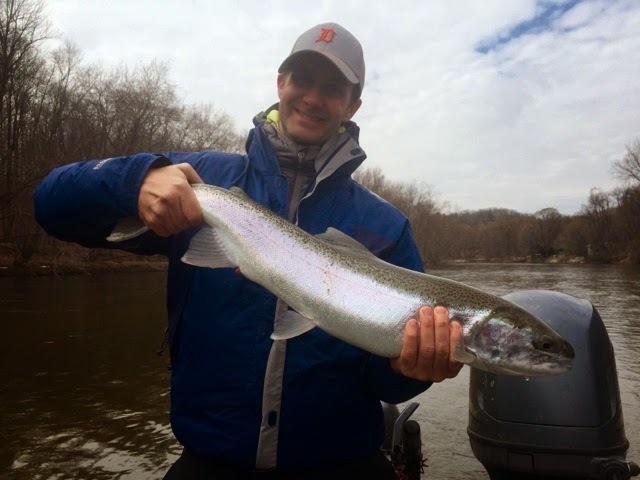 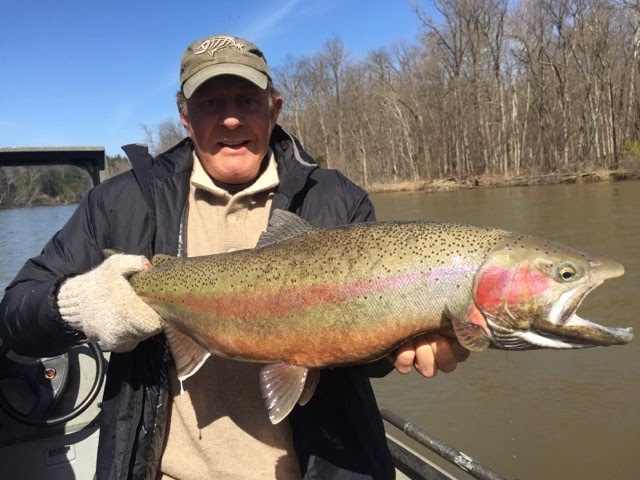 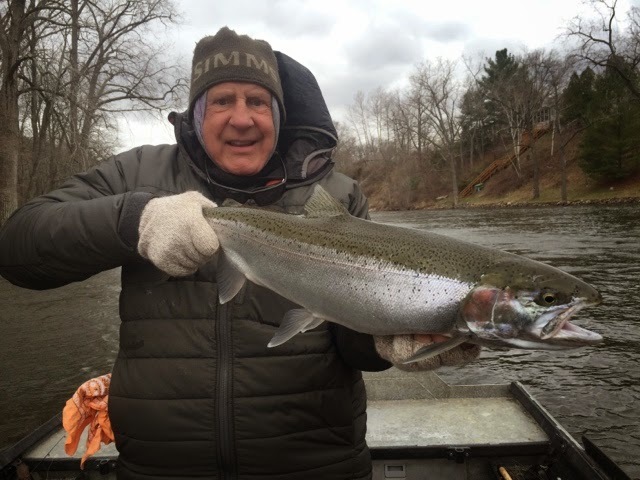 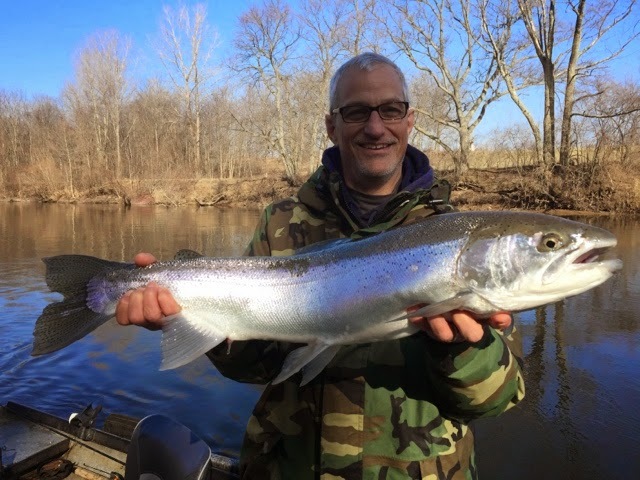 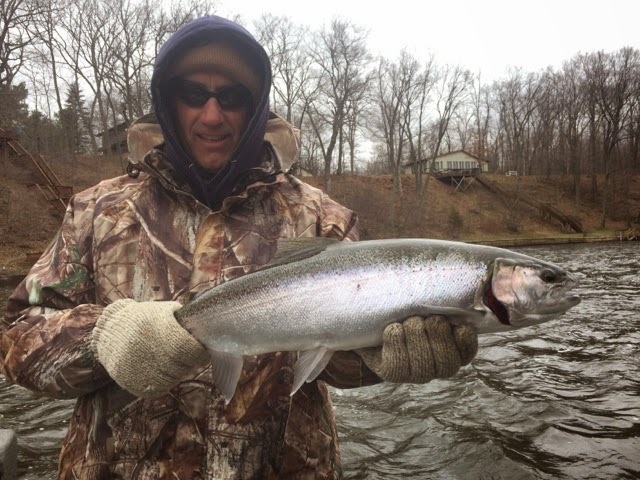 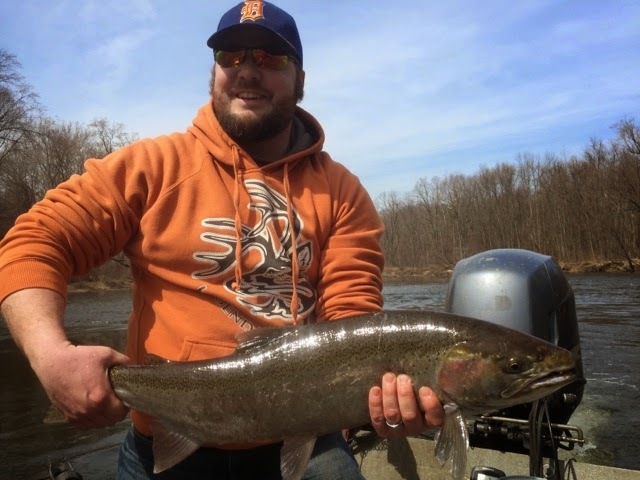 I've had a few days open up recently so if you want to get on the river to catch some steelhead let me know (616)204-4999. 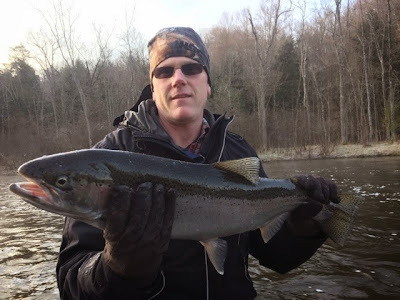 Here are a few recent pictures of fish we've caught.